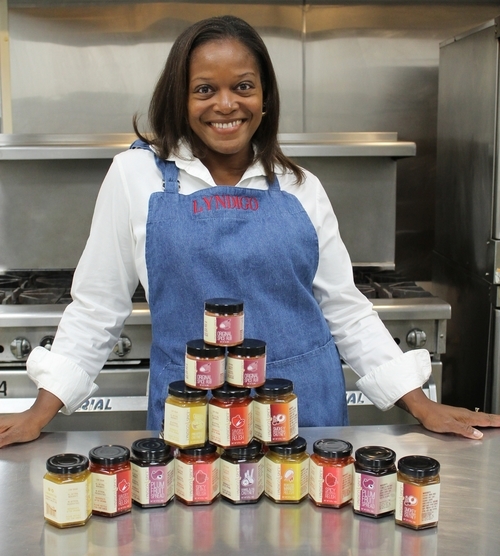 The beautiful, talented, dream chaser, cook, mom, and super inspiration, Celeste Croxton, owner of Lyndigo Spice. The other day I wrote about how great I feel when I watch The Voice (happy, smiley, inspired) , and that I think it’s because watching other people’s dreams come true is actually good for you, even thought they’re not your dreams. Well, that’s how I feel about watching the mother of one of my son’s friends, who I used to sit with at basketball games, and now just see on Facebook, make her dream come true. Damn, it’s good, riding the coat tails of someone else’s goal. Really excited to try the Fennel and Fig Chutney and the Spice Rub, but they all sound pretty damn good. Celeste was, and I imagine still is a police officer. She has two amazing boys. She was single parenting it for a long time. She was a super hard worker and ran a tight ship. She was also a cook, and lover of delicious food. She used to tell me, as we watched our kids play basketball, how she was starting a catering company, to which I was like, “When are you doing that, while you sleep?” Because this woman was working full time, so it was pretty amazing that she was doing this second, time consuming thing, too. But she was, because she had an unstoppable passion for it. Anyway, my son didn’t play b-ball senior year, and so I never saw Celeste, except on FB. But I watched her lose weight, become buff, and every time she posted food, I wanted to eat my computer. Anyway, yesterday she launched her business, Lyndigo Spice. I know what I’m getting a bunch of people for Christmas. Check her out. I haven’t tried her stuff yet, but just knowing Celeste, this girl would not serve you anything that wasn’t perfect. Here’s to you Celeste. 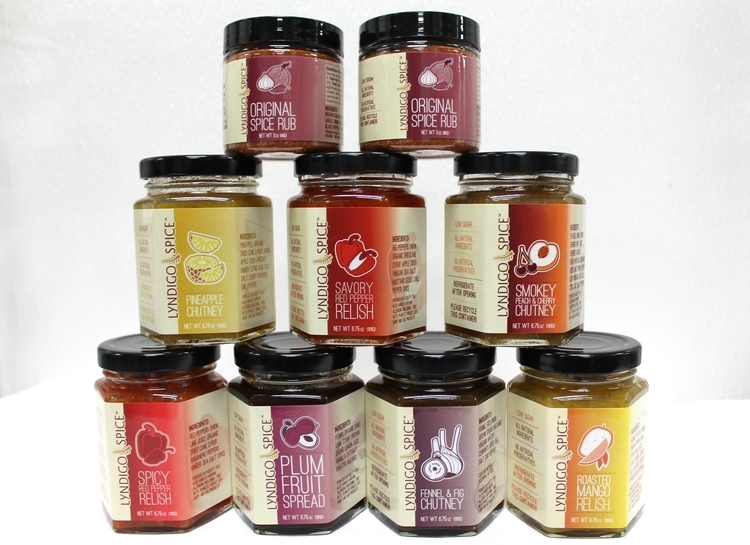 I can’t wait to get my hands on that Fennel and Fig Chutney. I have a feeling I might eat it out of the jar. Thank you so much Toni my first blog mention. We had a lot of laughs at the Schluntz Gym when Jake and Lake were playing.